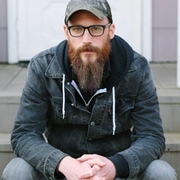 Jacob Aiello is a writer and co-founder and curator of Soft Show, whose stories have previously been published in Portland Review, Wordstock, and forthcoming from Stealing Time magazine and SmokeLong Quarterly. He lives in Portland, Oregon with his wife Amy, and is now hard at work amassing a collection of short fiction consisting of far too many pronouns. 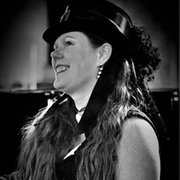 Maureen Alsop, Ph.D. is the author of Later, Knives & Trees (forthcoming), Mirror Inside Coffin (forthcoming), Mantic (Augury Books, 2013), Apparition Wren (Main Street Rag), and several chapbooks. She is the winner of Harpur Palate's Milton Kessler Memorial Prize for Poetry and The Bitter Oleander's Frances Locke Memorial Poetry Award. Her poems have been nominated for Pushcart Prize on six occasions. Her poems have appeared in various journals including The Laurel Review, AGNI, Blackbird, Tampa Review, Action Yes, Drunken Boat, and The Kenyon Review. Collaborative poems with poet, Joshua Gottlieb Miller have recently appeared on Verse Daily. Her translations of the poetry of Juana de Ibarbourou (Uruguay, 1892-1979) and Mario Domínguez Parra are available through Poetry Salzburg Review. 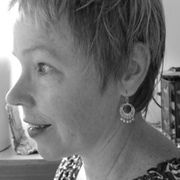 Maureen is an associate poetry editor for the online journal Poemeleon and Inlandia: A Literary Journal. She presently leads a creative writing workshop for the Inlandia Institute, the Riverside Art Museum, and The Rooster Moans. www.maureenalsop.com. 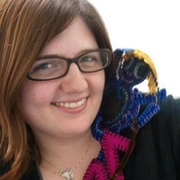 Allie Marini Batts holds degrees from Antioch University of Los Angeles & New College of Florida, meaning she can explain deconstructionism, but cannot perform simple math. Her work has been a finalist for Best of the Net & nominated for the Pushcart Prize. 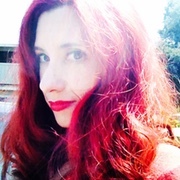 She is managing editor for the NonBinary Review & Zoetic Press, & has previously served on the masthead for Lunch Ticket, Spry Literary Journal, The Weekenders Magazine, Mojave River Review & Press, & The Bookshelf Bombshells. Allie is the author of wingless, scorched & beautiful, (forthcoming, Imaginary Friend Press), Before Fire, (forthcoming, ELJ Publications), This Is How We End (forthcoming, Bitterzoet. ), Unmade & Other Poems, (Beautysleep Press, 2013) & You Might Curse Before You Bless (ELJ Publications, 2013). 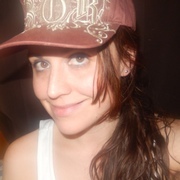 Find her on the web: https://www.facebook.com/AllieMariniBatts or @kiddeternity. When she is not translating, Alessandra Bava is writing the biography of a contemporary American poet. Her poems have appeared in Plath Profiles, THRUSH, Empty Mirror, and Left Curve, among others. She is the author of two bilingual chapbooks, Guerrilla Blues (2012) and Nocturne (2013), both published in Italy. Her first US chapbook, They Talk About Death, was a winner of the Blood Pudding Press 2014 Poetry Chapbook Contest. Her latest chapbook, Diagnosis, has been released by Dancing Girl Press. She is a Co-founder of Rome's Revolutionary Poets Brigades and she has edited two anthologies of the RRPB's poems. She has recently translated and edited a New Anthology of American Poetry. Alyse Bensel is the author of two chapbooks, Not of Their Own Making (dancing girl press, 2014) and Shift (Plan B Press, 2012). Her poetry has recently appeared in Mid-American Review, Heavy Feather Review, and Ruminate, among others. 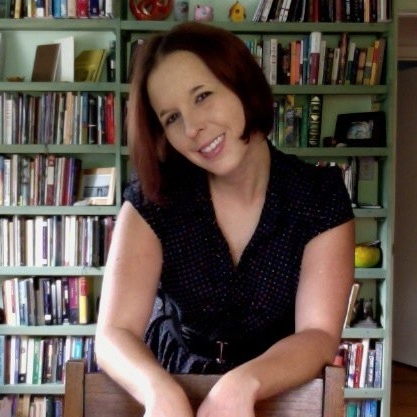 She serves as the Book Review Editor at The Los Angeles Review and Co-Editor of Beecher's, and is a Ph.D. candidate in creative writing at the University of Kansas. Nancy Bevilaqua attended Reed College and NYU's M.A. program in English/Creative Writing (Poetry). After that she worked for ten years in New York City and New Jersey as a caseworker and counselor for people with AIDS, the homeless, and people with substance abuse issues. Her first book, Holding Breath: A Memoir of AIDS' Wildfire Days, is based on some of those experiences. In 2013 she also published a book entitled A Rough Deliverance: Collected Poems 1983-2013. 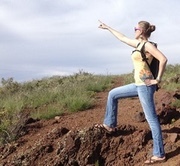 She has also worked as a freelance writer, specializing in travel. Her poems, stories, and articles have appeared in, or have been accepted for future publication by, Hubbub, Kentucky Review, Houseboat, Atticus Review, NY Press, Café Aphra, National Geographic Traveler, Coastal Living, several in-flight magazines, and many other publications. Nancy now lives in Saint Augustine, Florida, with her son Alessandro. All but the first of the poems published here are part of a collection entitled Gospel, which will be published as a chapbook within the year. Callista Buchen is the poetry editor for Beecher's. 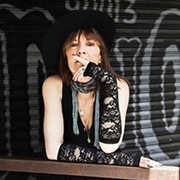 Her work has appeared in Arsenic Lobster, DIAGRAM, PANK, Gargoyle, Gigantic, and others, with reviews published in The Literary Review, H_NGM_N, and The Collagist. 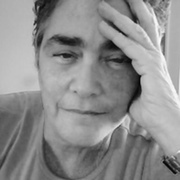 Mary Lou Buschi's poems have appeared or are appearing in FIELD, Willow Springs, PING PONG, Four Way Review, Menacing Hedge, Cream City Review, PANK, Thrush, Radar, among others. Her chapbook, The Spell of Coming (or Going), was published by Patasola Press (2013). Ukiyo-e, her second chapbook will be published by Dancing Girl Press (2014). Mary Lou has been nominated for Best New Poets 2014 and was a finalist for Best of Net Anthology, 2013. 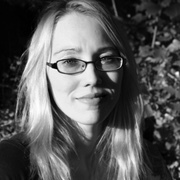 Her manuscript, Awful Baby, was a finalist for the Larry Levis prize through Four Way Books. 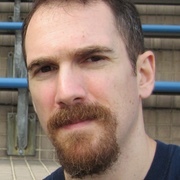 Kevin Casey is a graduate of the University of Massachusetts, Amherst, and received his graduate degree at the University of Connecticut. His work has been accepted by The Orange Room Review, The Milo Review, Small Print Magazine, Tule Review, Turtle Island Review, The Monarch Review, and others. He currently teaches literature at a small university in Maine, where he enjoys fishing, snowshoeing and hiking. Paige Clark is from Los Angeles and resides in Melbourne, Australia. She studied Mass Communication and English at Boston University. Find her on twitter @PaigeClark. Flower Conroy's first chapbook, Escape to Nowhere, was selected as first runner up in the Ronald Wardall Poetry Prize and was published by Rain Mountain Press. Her second chapbook, The Awful Suicidal Swans is available from Headmistress Press. Her poetry is forthcoming/has appeared in American Literary Review, Poydras Review, Jai Alia, Sierra Nevada Review, and other journals. Juliet Cook's poetry has appeared in a small multitude of literary publications, most recently including Arsenic Lobster, Diode, ILK, Tarpaulin Sky Press, and YES POETRY. 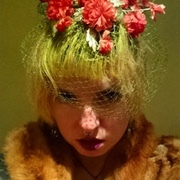 She is the author of more than thirteen published poetry chapbooks, most recently including POST-STROKE (Blood Pudding Press for Dusie Kollektiv 5), Thirteen Designer Vaginas (Hyacinth Girl Press), POISONOUS BEAUTYSKULL LOLLIPOP (Grey Book Press), and the new RED DEMOLITION (Shirt Pocket Press). A new collaborative chapbook created by Juliet Cook and Robert Cole, MUTANT NEURON CODEX SWARM, is forthcoming from Hyacinth Girl Press, and another new collaborative chapbook by Juliet Cook and j/j hastain, Dive Back Down, is forthcoming from Dancing Girl Press in 2015. Juliet's first full-length poetry book, Horrific Confection, was published by BlazeVOX. In addition to her own writing, Juliet is the editor/publisher of Blood Pudding Press (print) and Thirteen Myna Birds (online). You can find out more at www.JulietCook.weebly.com. Rebecca Cook lives under a blue willow cup in Professor Wallingford's office where she spends most of her time sleeping, eating, and writing by flashlight and beeswax candles. Often, he slips in for a chat and kisses her soundly and she blows poems and stories into his mouth so he can share them round. On the Internet and in print. All sorts of wordy things, anything she can think up. Everything you'd ever want to know about her can be found at godlikepoet.com. A graduate of Cameron University, Seth Copeland lives with his wife in Lawton, Oklahoma. In the past, he worked on the Oklahoma Review and served as managing editor for Cameron's literary magazine The Goldmine. His work has appeared in eratio, Symmetry Pebbles, and Brickplight, among others. Outside of writing, he performs with the music group Grel. He is currently compiling his first poetry collection. H.V. 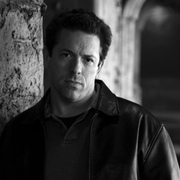 Cramond is the founding Poetry Editor of Requited Journal and a Writing Instructor at Loyola University Chicago. 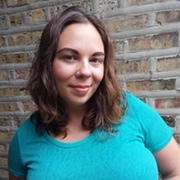 Her poem "War of Attrition" was a finalist in the 2013 Split This Rock Political Poetry Contest judged by Mark Doty, and a scene from Tenure Track: the Musical, her collaboration with Cayenne Sullivan, was produced by the Women's Theatre Alliance of Chicago in 2014. Some recent and forthcoming work can be found in Soundless Poetry, Pandora's Box (Southport Press, 2011), Ignavia, death hums, Matter Monthly, Crack the Spine, BlazeVOX, and So to Speak. You can read more of her work at hvcramond.com. 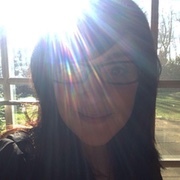 Jessica Anne Cuello is a poet and teacher in Syracuse, NY, and the author of the chapbooks By Fire (Hyacinth Girl Press, 2013) and Curie (Kattywompus Press, 2011). She was the winner of The 2013 New Letters Poetry Prize, and her poems have appeared in such journals as Lumina (where Carolyn Forche selected one of her poems as a contest winner), Tampa Review, Melusine, Rhino, and Copper Nickel. 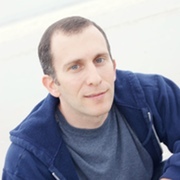 Andrew Davie received an MFA from Adelphi University. 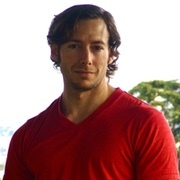 He recently taught English in Macau and Hong Kong, and currently teaches in Virginia. His work can be seen in Bartleby Snopes, A River and Sound Review, Necessary Fiction, and The South Dakota Review. Arthur Davis is a management consultant and has been quoted in The New York Times and Crain's New York Business, and interviewed on New York TV News Channel 1. He has advised The New York City Taxi and Limousine Commission, taught at the New School University, lectures on leadership skills for CEO's and has given testimony as an expert on best practices before United States Senator John McCain's investigating committee on boxing reform and appeared as an expert witness on best practices before The New York State Commission on Corruption in Boxing. He has written 11 novels and over 130 short stories. Over 40 stories have been published online and in print. Chris Deal is from North Carolina. He is the author of two collections of short fiction, the most recent being Incarnations, published by Broken River Books. 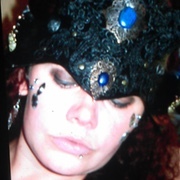 Risa Denenberg is an aging hippie poet currently living in Sequim, Washington. She earns her keep as a nurse practitioner, and spends the rest of her time reading, editing and writing poetry. She has published three chapbooks and one full length book of poems, Mean Distance from the Sun (Aldrich Press, 2013). Christopher D. DiCicco writes weird. Minimalist. Hybrid. Sort of. Work in wonderful places. Atticus Review. Superstition Review. Cheap Pop. Psychopomp. WhiskeyPaper. Wyvern. And more. Recent nominations for Pushcart Prize, Best of the Net, and Best Indie Lit New England. His collection comes out next fall with Hypertrophic Press. Visit www.cddicicco.com for pubs. 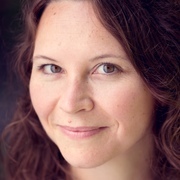 Monica Drake is the American fiction writer of the novels, Clown Girl (Hawthorne Books), which won an Eric Hoffer Award and an IPPY, and was named Best Book of 2007 by Fight Club author Chuck Palahniuk, and, The Stud Book (Hogarth Books), which has been translated into Spanish. 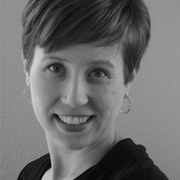 Drake, an associate professor, designed and implemented the BFA in Writing at the Pacific Northwest College of Art, where she now heads the writing program. 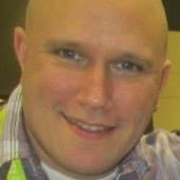 Kevin is editor of Etched Press and a writing consultant. He enjoys filming video adaptations of poetry and working with younglings in the community. His words have most recently appeared or forthcoming in SOFTBLOW, Glint Literary Journal, Sunshine/Noir II, Gendered & Written: Forum on Poetics, The Rumpus, Tell Us a Story, and Poetry Quarterly. He holds an MFA from San Diego State University. He's proudly from North Carolina, but resides in San Diego. You can find him online at www.kevindublin.com. Alexis Rhone Fancher is the author of How I Lost My Virginity To Michael Cohen and Other Heart Stab Poems, (Sybaritic Press, 2014). 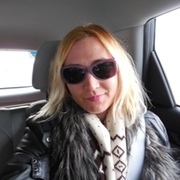 She is widely published, most notably in Rattle, The MacGuffin, Slipstream, H_NGM_N, Fjords Review, Good Men Project, The Chiron Review, rawboned, Deep Water Literary Journal, Carbon Culture, Serving House Poetry Journal, Broadzine!, Bloom Literary Journal, and elsewhere. 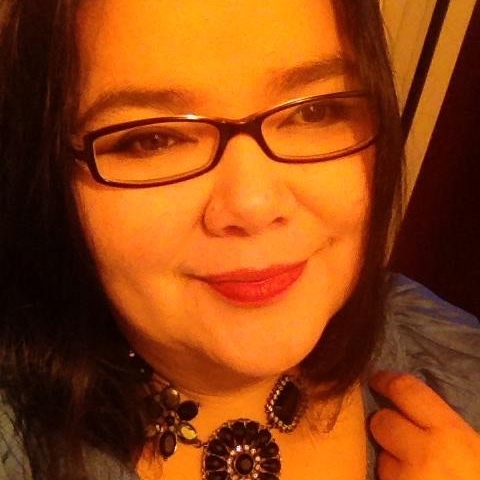 She has been published in over twenty anthologies and chapbooks, both in the U.S. and abroad. Her photographs have been published worldwide, including the covers of Witness and The Mas Tequila Review. Since 2013 Alexis has been nominated for three Pushcart Prizes and a Best of The Net award. She and her husband live and collaborate in an 8th floor loft/studio in downtown Los Angeles. They have a spectacular view. www.alexisrhonefancher.com. Melanie Figg is a poet and teaching artist. She has won numerous awards for her poetry, including grants from the McKnight and Jerome Foundations and the Arts & Humanities Council of Montgomery Council. 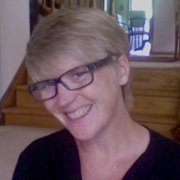 Her work has been published in Nimrod, Iowa Review, LIT, MARGIE, Colorado Review, and many other journals. She lives in Washington, DC. Jennifer Givhan was a 2010 Pen Rosenthal Emerging Voices Fellow, as well as a 2011 St. Lawrence Book Award finalist and a 2012 Vernice Quebodeaux Pathways Prize finalist for her poetry collection Red Sun Mother, and an Andrés Montoya Poetry Prize finalist for my poetry collection Karaoke Night at the Asylum. 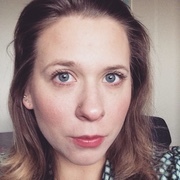 She is an MFA candidate at Warren Wilson College, and her work has appeared or is forthcoming in over sixty journals and anthologies, including Best New Poets 2013, Indiana Review, Prairie Schooner, Rattle, cream city review, and The Los Angeles Review. 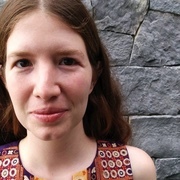 Lauren Gordon is the Pushcart Prize nominated of three chapbooks: Meaningful Fingers (Finishing Line Press), Keen (Horse Less Press) and Generalizations about Spines (Yellow Flag Press). 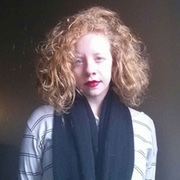 Her work has appeared recently or is forthcoming with The Collagist, The Volta Blog, miPOesias, Sugarhouse Review, Inter|rupture, and The Adirondack Review. She lives outside of Milwaukee. These poems are from Suzanne's current chapbook manuscript For the Dead Travel Fast. Her previous chapbook flight is published through dancing girl press. Her poems have appeared in 13 Myna Birds, Danse Macabre, Wicked Alice, and Calliope Nerve, among others. 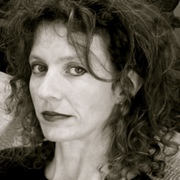 She received a 2014 Pushcart Prize nomination for her poem White Box, featured in Sein Und Werden's Theatrum Diabolorum issue. She is a Shakespearean actor in California when she's not writing or catering to her cat's every whim. 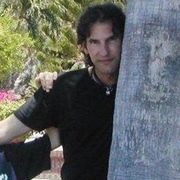 j/j hastain is the inventor of The Mystical Sentence Projects and is author of several cross-genre books including the trans-genre book libertine monk (Scrambler Press), The Non-Novels (forthcoming, Spuyten Duyvil) and The Xyr Trilogy: a Metaphysical Romance of Experimental Realisms. j/j's writing has most recently appeared in Caketrain, Trickhouse, The Collagist, Housefire, Bombay Gin, Aufgabe, and Tarpaulin Sky. 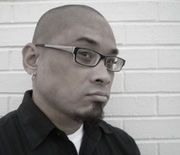 Amorak Huey is author of the chapbook The Insomniac Circus (Hyacinth Girl Press, 2014) and the forthcoming poetry collection Ha Ha Ha Thump (Sundress Publications, 2015). A former newspaper editor and reporter, he teaches writing at Grand Valley State University in Michigan. His poems appear in The Best American Poetry 2012, The Cincinnati Review, The Southern Review, The Collagist, Menacing Hedge, and many other print and online journals. Follow him on Twitter: @amorak. Jessie Janeshek's first book of poems is Invisible Mink (Iris Press, 2010). 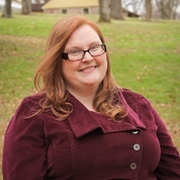 An Assistant Professor of English at Bethany College and the Director of Writing Across the Curriculum, she holds a Ph.D. from the University of Tennessee-Knoxville and an M.F.A. from Emerson College. She co-edited the literary anthology Outscape: Writings on Fences and Frontiers (KWG Press, 2008). W. Todd Kaneko is the author of The Dead Wrestler Elegies (Curbside Splendor, 2014). His poems, essays and stories have appeared in Bellingham Review, Los Angeles Review, Southeast Review, Barrelhouse, The Normal School, The Collagist, Menacing Hedge, and many other journals and anthologies. A recipient of fellowships from Kundiman and the Kenyon Review Writers Workshop, he currently lives in Grand Rapids, Michigan where he is an Assistant Professor in the Department of Writing at Grand Valley State University. Visit him at www.toddkaneko.com. 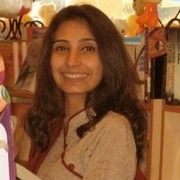 Zakia R. Khwaja is a writer with an MBA from Quaid e Azam University, Pakistan, and a Master's in English from the University of Rochester, New York. Her writing is influenced by her experience working in poverty-stricken areas with marginalized communities within Pakistan and abroad. Zakia's poetry focuses on the rich culture of the subcontinent as well as regional and global sociopolitical issues. Her work has appeared in Alabama Literary Review, Controlled Burn, Ellipsis, Grey Sparrow Journal, Pearl, and the Pakistan Academy of Letters' English publication Pakistani Literature. An avid reader, Zakia's interests include politics, philosophy, history, art, space and scientific exploration, and Urdu, British, and American literature. She loves to travel and has been to six of the seven continents. Sara Krueger received her B.A. in Film from Columbia College Chicago. She has attended residencies at the Atlantic Center for the Arts and the Ragdale Foundation. After writing and directing several short films, Sara has now set her sights on exploring the world of fiction and poetry. She lives in Chicago, Illinois with her husband Garrett, her cat Lando Calrissian, and her dog Luna. This is Sara's first publication. 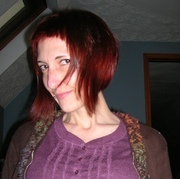 C. Kubasta attended Wells College and received an MFA in poetry from The University of Notre Dame. Her work experiments with hybrid forms, excerpted text, and shifting voices. A Lovely Box was published by Finishing Line Press in 2013 and won the 2014 Wisconsin Fellowship of Poets Chapbook Prize. Her poems and translations have appeared in numerous journals, including So To Speak, Stand, The Spoon River Poetry Review, Verse Wisconsin, and The Notre Dame Review. 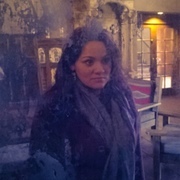 Check out her website: http://ckkubasta60.wix.com/ckubasta. She currently teaches English and Gender Studies at Marian University, in Fond du Lac, Wisconsin. She lives with her beloved John, cat Cliff, and dog Ursula. Len Kuntz writes full-time and has had close to 800 stories and poems published in places like PANK, Elimae, Word Riot, and others. 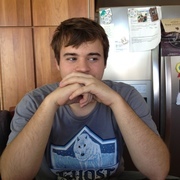 He is also an editor at the online zine Literary Orphans. 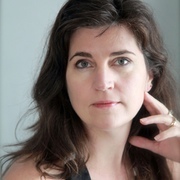 Eleanor Levine, who loves diners, has been published in Fiction, The Denver Quarterly, The Toronto Quarterly, Thrice Fiction, Dos Passos Review, Barrelhouse, Barely South Review, Roadside Fiction, Right Hand Pointing, the Kentucky Review, and other publications and anthologies. Her work is forthcoming in Split Lip Magazine's new book series, Utter Foolery: The Best Global Literary Humor, 2015, and Juked. She is currently a copy editor living in South Philly, across the street from the Melrose Diner. 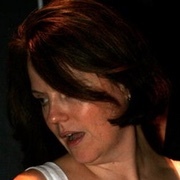 Rhonda Lott's poems have appeared in a variety of literary journals and magazines, including Hayden's Ferry Review, Southern Humanities Review, and WomenArts Quarterly, among others. An alumna of the Center for Writers at the University of Southern Mississippi, she received her doctorate from Texas Tech University in 2013. She serves on the board of directors for Sundress Publications and is an associate editor for Iron Horse Literary Review. Currently, Rhonda teaches at the University of Tennessee, Knoxville. 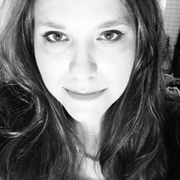 Jennifer MacBain-Stephens is the author of the chapbooks "EveryHerDies" (ELJ Publications, forthcoming 2014) and "Clotheshorse" (Finishing Line Press, forthcoming 2014). She has many poems published online and in print. Recent work can be seen/ is forthcoming at Red Hill Paint Quarterly, NonBinary Review, Vector Press, Split Rock Review, and Golden Walkman Magazine. For a complete list of publications visit jennifermacbainstephens.wordpress.com. Karl MacDermott is an Irish-born comedy writer. He has written jokes no one has laughed at, radio plays no one has listened to, a television series no one watched and a novel, The Creative Lower Being, no one read. He should be a very morose individual but he is not because he is deeply passionate about facilitating his delusions. He has had articles published in The Irish Times and online publications such as Literary Orphans, Every Day Fiction, and Pure Slush. He is currently writer-in-residence at his home in Dublin. His new novel, Ireland's Favourite Failure, is available on Amazon Kindle. 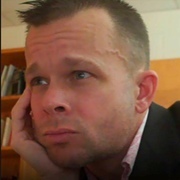 M. Mack teaches and writes in or around Washington, D.C. Mack's work has appeared or is forthcoming in the anthology The Queer South (Sibling Rivalry Press, 2014), Temenos, Gargoyle, Cactus Heart, and elsewhere. Ze is a founding co-editor of Gazing Grain Press, an explicitly inclusive feminist chapbook press. 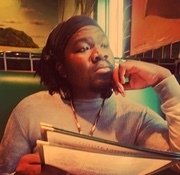 Saytchyn Maddux-Creech has published numerous stories and poems in journals such as Petrichor Machine, Flashquake, and Word Riot. Most of her work is dark fantasy and horror, but she occasionally writes about the stranger corners of the real world. Her first novel is in process in the foothills of the Rocky Mountains, where she enjoys telling scary stories around campfires. 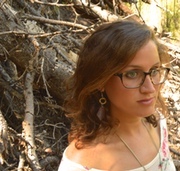 Sandra Marchetti's debut full-length collection of poems, Confluence, will be published in Gold Wake Press' 2014 Print Series. An illustrated fine press edition of her essays and poetry entitled, A Detail in the Landscape, is also forthcoming from Eating Dog Press this summer. 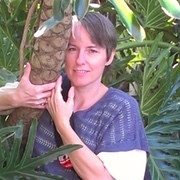 Sandy is the author of a chapbook, The Canopy, available from Midwest Writing Center Press. She won Second Prize in Prick of the Spindle's 2014 Poetry Open and was a finalist in Gulf Coast's 2011 Poetry Prize. Sandy's poems appear in The Journal, Subtropics, The Hollins Critic, Sugar House Review, Thrush Poetry Journal, Green Mountains Review, Prairie Gold: An Anthology of the American Heartland, and elsewhere. Christopher Martin is author of three poetry chapbooks: Marcescence: Poems from Gahneesah (Finishing Line Press, 2014), co-authored with David King; Everything Turns Away (La Vita Poetica Press, 2014); and A Conference of Birds (New Native Press, 2012). His work has appeared in The Southern Poetry Anthology, Volume V: Georgia (Texas Review Press, 2012), Shambhala Sun, Waccamaw, Ruminate Magazine, Thrush Poetry Journal, Still: The Journal, Buddhist Poetry Review, Town Creek Poetry, and elsewhere, including Loose Change Magazine's recent Best of Loose Change special issue. 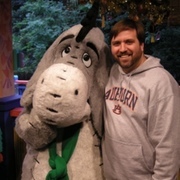 The editor of Flycatcher, a contributing editor at New Southerner, and a two-time Pushcart Prize nominee, Chris lives with his wife and their two young children in northwest Georgia, between the Allatoona Range and Kennesaw Mountain. You can find him online at www.christopher-martin.net. 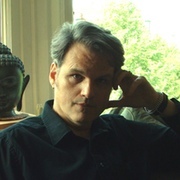 Nils Michals is the author of two collections of poetry, Come Down to Earth (Bauhan, 2014), which won the May Sarton New Hampshire Prize, and Lure (Pleiades Press, 2005), which won the Lena-Miles Wever Todd Award. Individual poems have recently been published or are forthcoming in Posit, *82, Small Po[r]tions, Bombay Gin, Theodate, and Four Chambers, among others. He lives in Santa Cruz, CA with his wife and daughter, and teaches at West Valley College. Grant Gerald Miller was born in Memphis, Tennessee. He currently teaches creative writing at The Independent Publishing Resource Center and Portland Community College in Portland, Oregon. His work has appeared or is set to appear in various journals including Hobart, Qu Magazine, Bartleby Snopes, Drunk Monkeys, and Fish Magazine's 2014 Anthology. J. C. Montague is an archivist and artist. Her third collection of poetry, The Wires, 2012 is to be published on Dark Windows Press in autumn 2014. 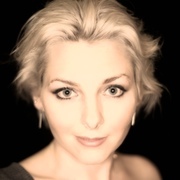 She is the curator of the hybrid news-arts radio show The News Agents on Resonance FM and lives in London. Work from her first poetry collection For the Messengers is at www.judecowan.net. 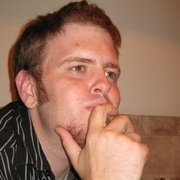 Dan Morey is a freelance journalist in Erie, PA. His creative work has appeared in many publications, including Sein und Werden, Splitsider, Eyeshot and Drunk Monkeys. He's currently at work on a travel book, a novel, and a hookless rope lure for catching longnose gar. Find him at danmorey.weebly.com. 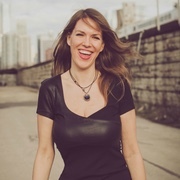 Annmarie O'Connell is a lifelong resident of the South side of Chicago. Her work has appeared or is forthcoming in Verse Daily, Slipstream, SOFTBLOW, Vinyl Poetry, Curbside Splendor, Escape Into Life, Whiskey Island Magazine, and many other wonderful journals. Her chapbook Her Last Cup of Light was published by Aldrich Press. Jamie O'Connell graduated with a B.A. 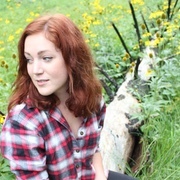 in English/Creative Writing from University of Colorado at Boulder, and will be pursuing her MFA at California College of the Arts in San Francisco this fall. She leisurely maintains a food blog and a travel blog, and spends most of her free time with her zebra-striped dog named Daisy. Stephen O'Donnell is a mid-career fine artist. His work is widely collected, both in this country and abroad. Entirely self taught, he is best known for his self-portraits, paintings which typically employ a great deal of gender ambiguity and a strong dose of droll humor. His work usually exemplifies the genre known as the portrait historié, a historicized portrait in which a recognizable subject is portrayed in historical or mythological guise, a conceit often used by seventeenth and eighteenth century artists. He is married to writer and graphic designer Gigi Little. They live in Portland, Oregon with their dog Nicholas. Marcus Pactor is the author of the short story collection Vs. Death Noises (Subito Press, 2012). His work has recently appeared or is forthcoming in Green Mountains Review, Prick of the Spindle, EAT, and Heavy Feather Review. When not scribbling twisted musings into spiral notebooks, photographing the odd puddle or junk pile, or building classy furniture, Dino Parenti earns a little scratch drawing buildings. His work can be found in a several anthologies, as well as the following journals: Pantheon Magazine, Cease-Cows, Revolt Daily, and the Lascaux Review, where he won their first annual flash fiction contest. 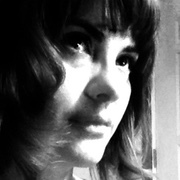 Rachel Marie Patterson is the co-founder and editor of Radar Poetry. She holds an MFA from the University of North Carolina at Greensboro and is a PhD candidate in English and Creative Writing at the University of Missouri. The recipient of an Academy of American Poets Prize, her recent poems appear in Cimarron Review, Smartish Pace, The Journal, Parcel Magazine, and Thrush Poetry Journal, among others. 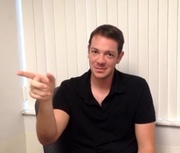 Sean Pravica is a writer and entrepreneur living in Southern California. He has been nominated for writing awards including Sundress Press' Best of the Net as well as storySouth Million Writer's Award. His first novel, "Stumbling out the Stable," is due for release by Pelekinesis Press in November 2015. Carson Pynes was raised in a small town high in the mountains of northern Arizona. She currently lives in Galway, Ireland. 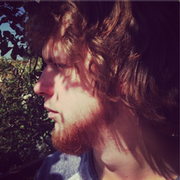 Ian Rice is an MFA-Poetry candidate at Florida Atlantic University. He has been published in Fishfood Magazine and Ardent!. Once upon a time he taught in Hungary, and he is looking towards the sea these days. Terry Rietta is a father, a filmmaker and a barstool storyteller. He left his former life as an ad agency creative director, to launch his directing career with the spot "First Look" for the Mill Valley Film Festival. The work was honored by the AICP and is on permanent collection in the Museum of Modern Art. His marriage of rich visual storytelling, cinematic style and character driven comedy are the cornerstones of an eclectic and original reel. 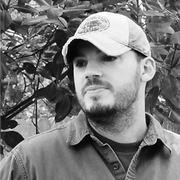 When he's not shooting, he's writing and has been fortunate enough to have his stories published in Shotgun Honey, Jersey Devil Press, and Parable Press. His commercial work can be found at www.gartner.tv/director/terry-rietta. 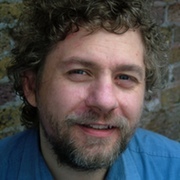 Robert Shearman has written four short story collections and between them they have won the World Fantasy Award, the Shirley Jackson Award, the Edge Hill Readers Prize and three British Fantasy Awards. 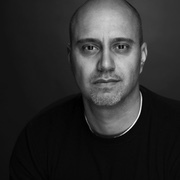 His background is in the theatre, resident dramatist at the Northcott Theatre in Exeter, and regular writer for Alan Ayckbourn at the Stephen Joseph Theatre in Scarborough; his plays have won the Sunday Times Playwriting Award, the Sophie Winter Memorial Trust Award, and the Guinness Award in association with the Royal National Theatre. He regularly writes plays and short stories for BBC Radio, and he has won two Sony Awards for his interactive radio series, 'The Chain Gang'. But he's probably best known for reintroducing the Daleks to the BAFTA winning first season of the revived Doctor Who, in an episode that was a finalist for the Hugo Award. His forthcoming collection of stories, They Do The Same Things Different There, is published by ChiZine this summer. Emily Slaney is 70% no confidence, with dark humour and a crooked smile. She describes her writing as nihilistic emotional satire because she likes to make you laugh before she pulls it all away from you. She lives in England with her husband and kids in a semi-detached madhouse where sarcasm is what passes for everyday speech. 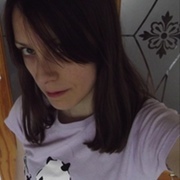 Emily has enjoyed publication at Thunderdome Magazine, Revolt Daily, Solarcide, Cease, Cows, and Parable Press. You can find more about Emily at: emilyslaney.com. 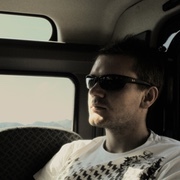 Benjamin Smith is from Hebden Bridge, West Yorkshire. Having spent the last four years travelling around Latin America he is currently living in Guadalajara, Mexico, where he is working on his first collection of poetry. His work has previously appeared in: Pif Magazine, The Recusant, The Cannon's Mouth, The Empty Mirror, and The London Grip. 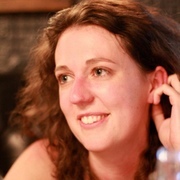 Erin Elizabeth Smith is the Creative Director at the Sundress Academy for the Arts and the author of two full-length collections, The Naming of Strays (Gold Wake, 2011) and The Fear of Being Found, which will be re-released from Zoetic Press later this year. Her poems have appeared in numerous journals, including Mid-American, 32 Poems, Zone 3, Gargoyle, Tusculum Review, and Crab Orchard Review. She teaches a bit of everything in the English Department at the University of Tennessee and serves as the managing editor of Sundress Publications and Stirring. 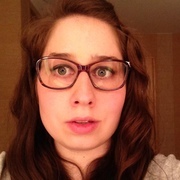 Alison Stagner is an MFA-poetry candidate at the University of Washington, Seattle, where she is on the prose board for The Seattle Review. Her work has appeared in H_NGM_N, The Chariton Review, and Mare Nostrum. She currently resides in Rome. 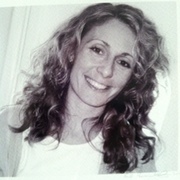 Jen Stein is a writer, advocate, mother and finder of lost things. She lives in Fairfax, Virginia where she works in family homeless services. Her work has recently appeared in Stirring, Poetica Magazine, and Wicked Banshee Press, and is featured in a micro-collection in Wood Becomes Bone. Upcoming work will be featured in NonBinary Review, the Northern Virginia Review, and by Luna Luna Magazine. Richard Thomas is the author of five books—Disintegration, Transubstantiate, Herniated Roots, Staring Into the Abyss, and Four Corners. His over 100 stories in print include Cemetery Dance, PANK, Gargoyle, Weird Fiction Review, Midwestern Gothic, Arcadia, Pear Noir, Chiral Mad 2, and Shivers VI. He is also the editor of three anthologies out in 2014: The New Black (Dark House Press), The Lineup: 25 Provocative Women Writers (Black Lawrence Press), and Burnt Tongues (Medallion Press) with Chuck Palahniuk. In his spare time he writes for The Nervous Breakdown, LitReactor, and is Editor-in-Chief at Dark House Press. For more information visit www.whatdoesnotkillme.com or contact Paula Munier at Talcott Notch. 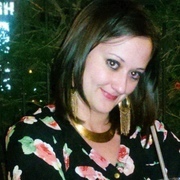 Rhiannon Thorne lives in Phoenix, Arizona where she wrangles ferrets, drinks craft beer, and edits cahoodaloodaling. 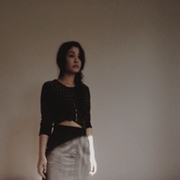 Her work has appeared in fine places such as Midwest Quarterly, grasslimb, Existere, and Sierra Nevada Review. She may be reached at rhiannonthorne.com. Letitia Trent's first novel, Echo Lake, is available from Dark House Press. 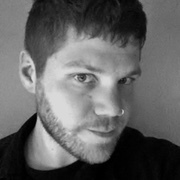 Trent's work has appeared in the Denver Quarterly, The Black Warrior Review, Fence, Folio, The Journal, MiPOesias, Ootoliths, Blazevox, and many others. Her first full-length poetry collection, One Perfect Bird, is available from Sundress Publications. Her chapbooks include You aren't in this movie (dancing girl press), Splice (Blue Hour Press) and The Medical Diaries (Scantily Clad Press). She was the 2010 winner of the Alumni Flash Writing Award from the Ohio State University's the Journal, and has been awarded fellowships from The Vermont Studio Center and the MacDowell Colony. 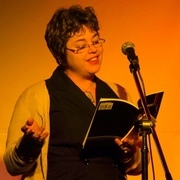 Elizabeth Vignali is an optician and writer. Her poems have been published in various journals, including Literary Mama; Clover, A Literary Rag; The Commonline Journal; and Jeopardy magazine. Her chapbook, Object Permanence, is forthcoming from Finishing Line Press. She lives with her family and their unlikely Chihuahua in Washington State. Donna Vorreyer's poems have appeared in many journals, and Encantada will debut later this year as a chapbook with Redbird Chapbooks. She is the author of A House of Many Windows (Sundress Publications) and her second book is forthcoming from Sundress in 2016. She teaches middle school, which often means she still acts like she is twelve years old. Winter 2015: Is This Your Cat? 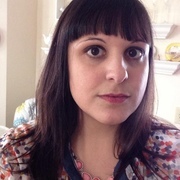 A freelance writer and editor, Melissa Wiley lives in Chicago, and her work has appeared in literary magazines including Beetroot Journal, Lowestoft Chronicle, Tin House Open Bar, Stirring: A Literary Collection, Pithead Chapel, Specter, Great Lakes Review, Outside In Literary & Travel Magazine, and the museum of americana. Stephen Williams holds a BA in creative writing from the University of California, Riverside where he won the Chancellor's Performance Award for excellence in fiction. 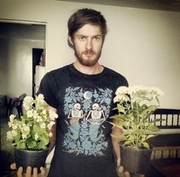 His work has appeared in numerous publications, including Menacing Hedge, Underneath the Juniper Tree, and Goreyesque. Currently, he serves as an editor for Rind Literary Magazine. His debut novel, Among the Ruins, will be released by Villipede Publications in 2015. Sarah Ann Winn lives in Fairfax Virginia. Her poems have appeared or will appear in Bayou Magazine, [d]ecember, Massachusetts Review, Quarterly West, and RHINO, among others. Her chapbook, Portage, is forthcoming from Sundress Publications this winter. Visit her at bluebirdwords.com or follow her @blueaisling on Twitter. Nic Young lives in Cape Town, South Africa. He has packed supermarket shelves in Edinburgh, slept in the open Sahara desert, and broken an inordinate number of bones. He has been writing software since 2005, and stories since 2010. They have been published online and in print. 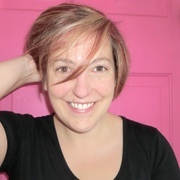 Susan Yount is the Editor and Publisher of Arsenic Lobster, works fulltime at the Associated Press, teaches online workshops at the Rooster Moans, and is the founder of Misty Publications. She earned her MFA in poetry at Columbia College in Chicago while working fulltime and raising her son. In her spare (!) time she moonlights as madam for the Chicago Poetry Bordello. Her first poetry chapbook, Catastrophe Theory (Hyacinth Girl Press, 2012), is the sequel to House on Fire (Blood Pudding Press, 2014).